Well, I’m back at it again. Getting thrown out of a conventional supermarket wasn’t enough fun for me, so this time, I’m going shopping at my favorite Asian supermarket with camera in tow. What interesting and traditional foods can we find here? If you haven’t ever shopped at an Asian grocery before, you must find one in your local area right away. Not only is it an incredibly fun and interesting experience (be sure to take the kids along), but you will find foods here that you cannot find anywhere else. 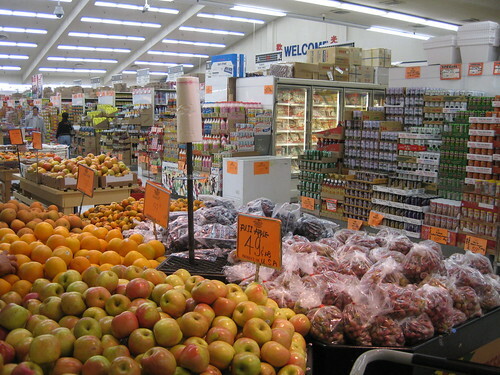 What foods do you like to buy at an Asian market? * By the way, I need to come clean. The salted duck eggs I bought in the video .. they were terrible! Big strike-out on that purchase. * This post is shared at Real Food Wednesday!